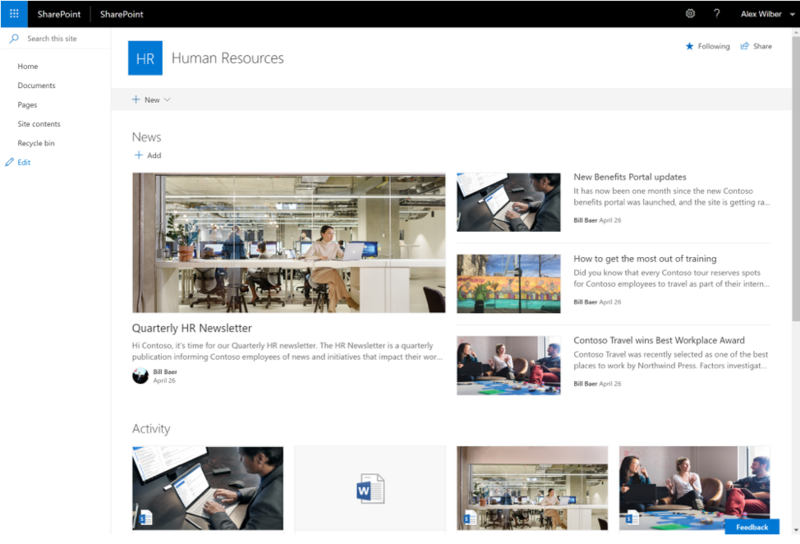 In May of 2018, SharePoint Senior Technical Manager Bill Baer announced some of the details for Microsoft’s release of SharePoint Server 2019. Baer kept the details at a high level, and discussed primarily the strategic goals he and his team had for the product. Microsoft allowed a bigger peek behind the curtain when SharePoint Server 2019 Public Preview was released for download on July 24th. After reviewing Microsoft’s documentation and downloading a demo of the preview for myself, it came as no surprise that the experience and features of the new product are deeply synonymous with the 0365 UI design and social sharing functionality. For all of my fellow SharePoint On-Premise Admins – don’t fret! SharePoint Server 2019 is still available as a completely on-premise solution. BUT, as with all new releases, there is always a functionality give and take. This give and take is most apparent in the Business Intelligence portion of SharePoint, which I will get into later in the article. 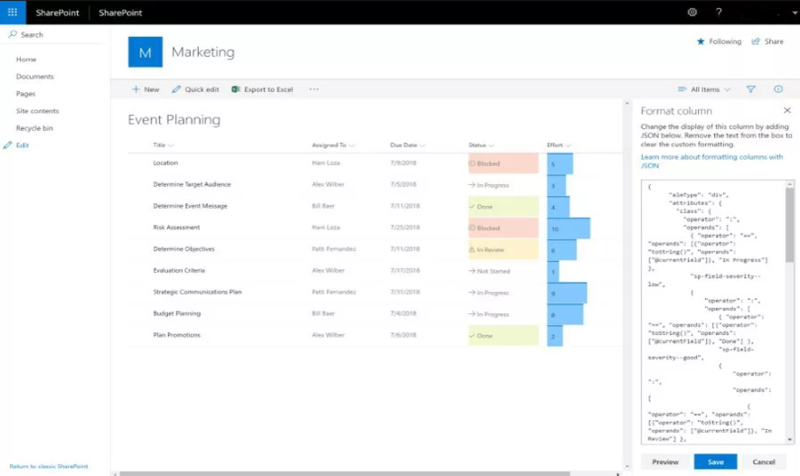 For now, let’s look at some of the new features available in SP2019. 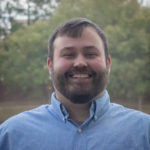 First things first, you should know that SharePoint Server 2019 piggybacks off of the look, feel, and functionality of its SharePoint Online cousin. The result is improved user experiences, faster site management, and greater ability to share and disseminate information across company subject matter groups. 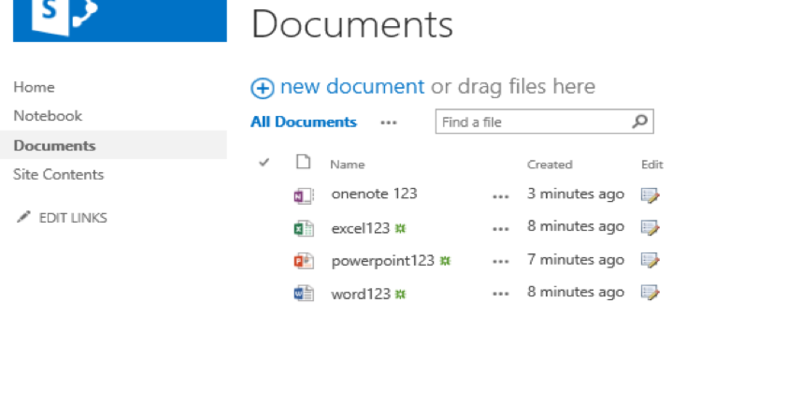 SharePoint’s bread and butter functionality, in my opinion, has always been the lists and libraries feature. The ability for users to easily create, customize, and share information based on these out of the box features is enhanced even more with SP 2019. Microsoft is including many of these new features released in SP 2019 with the prefix “Modern,” as a distinction from the “Classic” UI and behavior of previous SharePoint versions. Basically, “Modern” = looks and behaves like SharePoint Online. So what is “Modern” going to get you? • The updated look and feel of more modern web styling. “Modern” will also give you visual customization of a Library and List through column formatting and/or the SharePoint Framework Field Customizer. The following shows how developers can now input JSON code directly into the list/library all within the same window. The JSON code is directly applied to the “Status” and “Effort” columns to give the user a greater feel for what the data in the list represents. 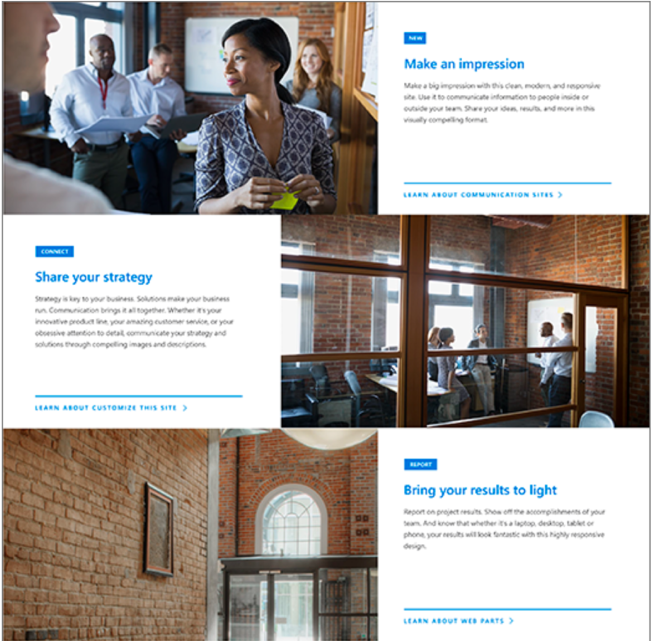 • The team site template is another feature with a long tenure in the SharePoint product line, providing users with an easy-start platform for intercompany collaboration. SP 2019 team sites receive the “Modern” treatment as well, with an updated UI (think WIX or any modern HTML5 based sites) and embedded collaboration web parts. • Modern pages leverage the same UI theme as team sites, but have access to a wider range of page formatting and web part placement. One of the updates I’m a big fan of is the ability to change a page’s template after creation. Gone are the days of having to create entirely new pages when the layout needed to change. • Modern web parts: Updated look, easy to move and resize on a page, and easier for developers to design custom web parts. 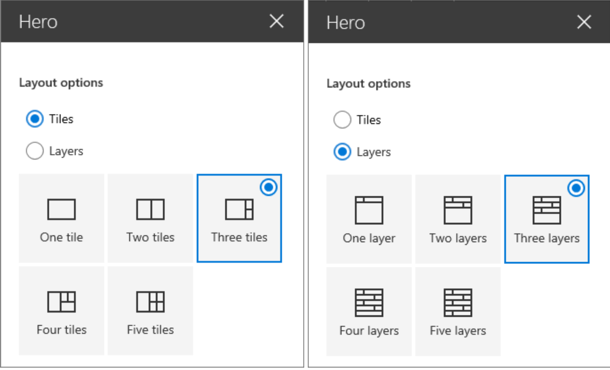 One great example of this is the Hero Web Part, which is now available with SharePoint 2019 and was originally released for SharePoint Online. • The above screenshot illustrates how the Hero Web Part can be populated with content on a page. 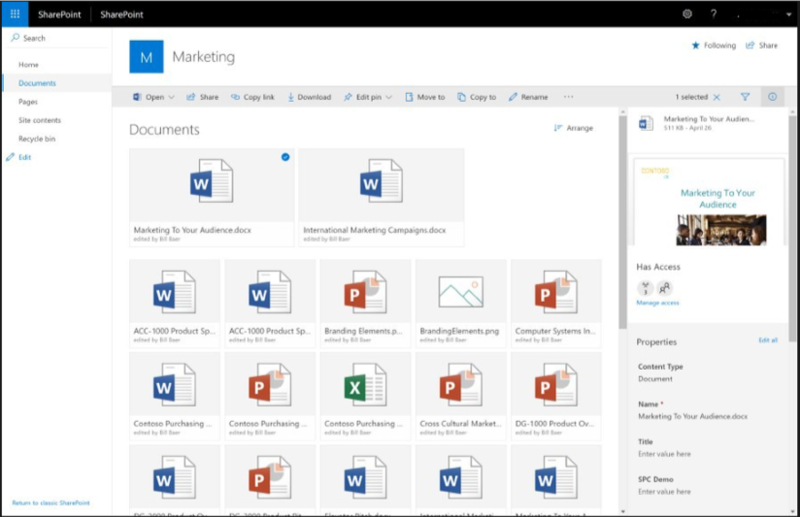 Developers will enjoy the extended flexibility in creating custom SharePoint solutions with SP2019. SharePoint 2019 will also provide seamless mobile compatibility to any device (Mac, PC, Tablet, Mobile), including the upgraded UI and OneDrive features. Check out this article for a clean view of SP2019’s compatibility compared to previous SharePoint releases. I believe SharePoint Server 2019 is set to be one of Microsoft’s best iterations in the legacy of the product. That being said, I anticipate our clients and other companies having legitimate concerns when considering the move to SP 2019. The most drastic change is within the Business Intelligence side of SP – specifically clients developing and consuming BI using SSRS in SharePoint Integrated mode. SSRS as a whole is being let out to pasture by Microsoft, with all of their BI efforts being invested into Power BI and Power BI server. For large organizations that are heavily using SSRS, it will be a massive undertaking and change in functionality to transition their data, reports, and security to the Power BI platform. Fortunately, the Report Viewer web part will be kept around and functional with SSRS .rdl files to provide some transition ability. • Will Power BI Server be able to migrate previously developed SSRS Reports? 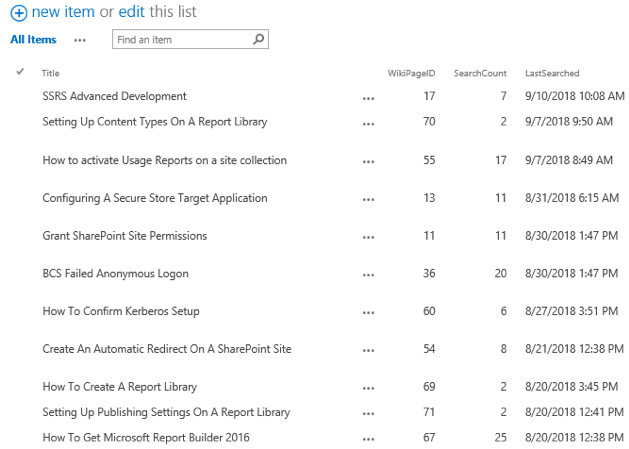 • Can .rdl reports be stored and maintained inside SharePoint 2019 lists and libraries or will they only be available through the Report Viewer web part? • In hybrid environment scenarios, how can large organizations with sensitive data (medical, financial, government) ensure the same level of security that they are currently seeing from on-premise? To summarize, SharePoint Server 2019 has many features that (as a SharePoint Admin and Developer) I’m really excited about. And frankly, these new features are long overdue (looking at you UI team)! However, I do have concerns regarding how large clients will migrate their data and features that SharePoint has supported for many moons… But hey, that’s my job as a consultant right? Be on the lookout for my upcoming vlog post which will showcase some of the features above, as well as create a few business scenarios to see how SP 2019 actually performs!